At the recent preparatory conference for Rio+20 in New York (7-8th March) it became clear that the “green economy” concept is complicating an already difficult process. Definitions of sustainable development have been argued over for years; now we are invited instead to see everything in terms of a “green economy”. 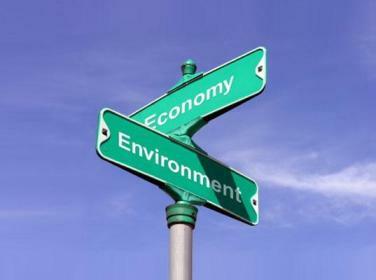 UNEP, which produced its massive economics-dominated report shortly before the prepcom/conference, defines the “green economy” as one that results in improved human wellbeing and social equity, while significantly reducing environmental risks and ecological scarcities. Thus the biodiversity and ecosystem resilience on which we all depend are reduced to “risks” and “scarcities”. Even though it is clear that the “green economy” means very different things to different interests, many parties simply parroted the phrase over and over; Bolivia was one of the few that commented critically, noting that there is not a shared vision of what the "green economy" might be. The Stakeholder Forum meeting on Sunday 6th March took up time and resources that groups could have possibly better used to prepare and develop strategies amongst themselves. NGOs particularly need of some kind of process to coordinate their views and responses. There is a risk that the Stakeholder Forum will by default establish itself as the voice of civil society, movements, indigenous people, local communities and the rest. Even its Secretariat noted how easy it was to confuse the Stakeholder Forum website with official UN websites. The Forum has its uses, but not as a representative of civil society. In addition, the division of civil society into the “major groups”1 as established in Agenda 21 is not helpful. It means that business and industry participate on equal terms with the rest of society. Once again, Bolivia commented, noting that the private sector should not be defined as a part of civil society, and the indigenous people went further saying that the Rio process has been thwarted by corporate dominance. The Stakeholder Forum appears to support the idea of a framework convention on corporate accountability, based on the International Organisation for Standardisation’s ISO 26000. However, this is entirely about social responsibility and many see corporate social responsibility as more of a public relations exercise than anything else; something that does nothing to curb corporate power. What about REDD in the context of the “green economy”? The proposal from UNEP is to turn REDD into part of a multi-layer Payment for Ecosystem Services (PES) scheme that could cover all Rio-related instruments. The UNEP summary for policymakers says that PES (“carbon sequestration, watershed protection, biodiversity benefits and landscape beauty”) “holds wider promise not only for climate regulation and biodiversity conservation services, but also to scale up significant resources to communities who are stewards at the landscape level. "2 We can see the landscape approach set out here, reflecting the Agriculture, Forestry and Land Use (AFOLU) approaches preferred by the World Bank: approaches that reduce landscapes, including forests, to a range of services provided, some of which may be preferred over others by potential investors. This conflicts with the fact that a resilient ecosystem is a complex whole, composed of interconnected elements that cannot safely be prioritised over others and some of which, of course, we do not yet understand. Fragmenting such wholes or making a hierarchy of their parts will inevitably degrade them. Fragmentation of ecosystems including forests, is already a major problem that the “green economy” looks likely to enhance. Thus the Munden Project’s paper REDD and Forest Carbon: Market-Based Critique and Recommendations is timely, making points which forest campaigners, movements, local communities and indigenous peoples have long made about market mechanisms: We therefore conclude that REDD is unlikely to generate expected impact at the producer level. That is, the bulk of benefits from forest carbon will not go to REDD projects, the communities that live within them or the countries where they are located, and those projects that are able to operate will come under intense pressure to cut costs due to monopsony buying power. The Munden report suggests that the main beneficiaries under the present rules would be intermediaries (60% of the benefits) and that the income to the projects might be as little as 3% of the total (hypothetical) funding. However, instead of advocating abandoning carbon markets for REDD, the report proposes ways to fix the problems. Others argue that the whole idea is irretrievably flawed and should be abandoned. So we face a paradox: the proposals coming to Rio+20 to stop the global economy from breaching the planet’s ecological limits are – economic. They involve putting forests and all other terrestrial ecosystems on a balance sheet and calculating potential returns for investment. But this is the same way of thinking that created these problems in the first place. And, as Einstein noted, solving problems needs a different way of thinking. And we have such thinking to hand: beyond the central focus on the “green economy” there are many vital and hard-won principles and instruments, including the Precautionary Principle, the Polluter Pays Principle, Free Prior and Informed Consent and the UN Declaration on the Rights of Indigenous Peoples. In addition we have two new protocols: The Nagoya Protocol on Access and Benefit-Sharing and the Nagoya-Kuala Lumpur Supplementary Protocol on Liability and Redress to the Cartagena Protocol on Biosafety. Then there is Principle 10 of the original Rio Declaration, concerning public access to information, public participation and access to justice in environmental matters. There was also mention in New York of the need to extend the reach of the Aarhus Convention on Access to Information, Public Participation in Decision-making and Access to Justice in Environmental Matters. The systematic assessment of new and emerging technologies is something we should develop and apply, not only to geoengineering and synthetic biology, but as an ongoing process of public assessment of all new technologies. We should pursue the implementation of the rights and principles that have already been established after long years of struggle. Together they provide a powerful means to critique the proposals for a “green economy” and the basis for an alternative approach to addressing our twin crises of thought and action. 1. Business and industry, children and youth, farmers, indigenous people, local authorities, NGOs, scientific and technological community, women, and workers and trade unions. 2. Pages 33 and 31 of the summary for Policymakers.